Love Halloween? This is the Halloween trip of a lifetime. On this Gadventures tour of Transylvania, when the clock strikes midnight on Halloween, you'll be at a costume party inside 'Dracula's Castle'! Transylvania. At odds with its 'creeptacular' reputation, Romania ranks as one of Europe’s most charming and under-explored regions, beguiling visitors with its stunning Gothic architecture, enveloping forests, and friendly people. You'll experience the charming and friendly side of Romania on this 7-day tour… then everything changes for Halloween. Imagine being in Transylvania, in person, when the clock clangs midnight… on Halloween! And not just in Transylvania – at a costume party in infamous Bran Castle, legendary home of Dracula. 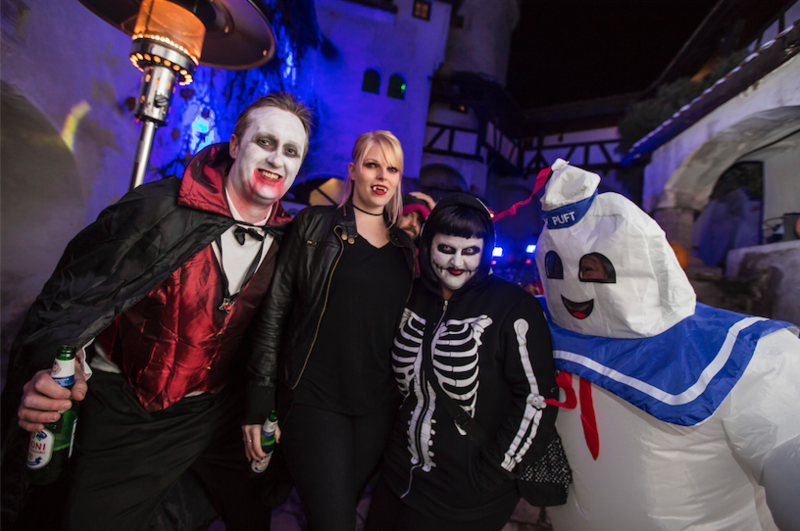 Pack your best costume and get ready for the Halloween of a lifetime! 3-day 'Dracula's Halloween Party in Transylvania' Tour – Ask us more! Visit the ruins of Dracula's Poenari Castle, and stunning Curtea de Arges Monastery en route to Sibiu. Enjoy an orientation walk upon arrival. Opt to visit the art-focused Brukenthal Museum. Continue on to Sighisoara with an orientation walk upon arrival. Enjoy some free time to explore the birthplace of Vlad 'The Impaler' Tepes, also known as Dracula. Stop for a visit at Rupea citadel, a 14th century fortress, en route to Bran. Get to the know the city on an orientation walk. Afterwards, opt to take a short taxi ride into nearby Braşov and explore this quaint town's baroque architecture and beautiful squares. Enjoy time in Bran before attending a Halloween party at “Dracula’s Castle” – don’t forget your costume! 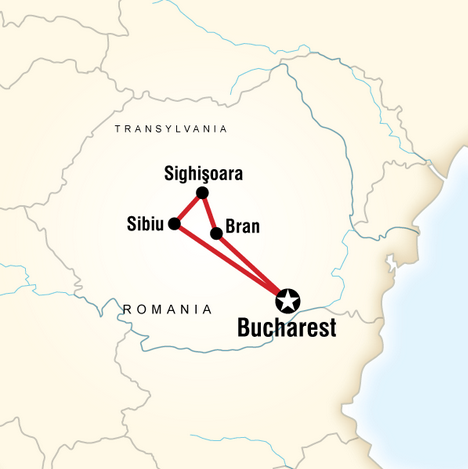 Travel back to Bucharest via Snagov Monastery, then enjoy an orientation walk upon arrival. Opt for a final night out on the town. Allow USD130-170 for meals not included. Up to 5 Chief Experience Officers (CEOs) throughout, local guides. All travelers under age 18 must be accompanied by an adult.